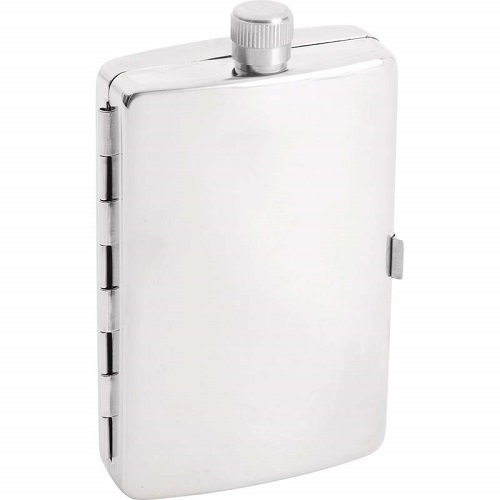 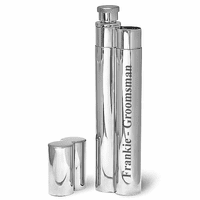 This sleek stainless steel flask helps you keep everything you need in one place when you go out for a night on the town! 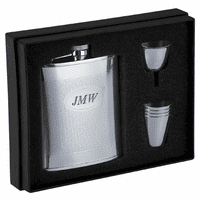 The flask, with captive screw-on lid, holds 2.5 oz. 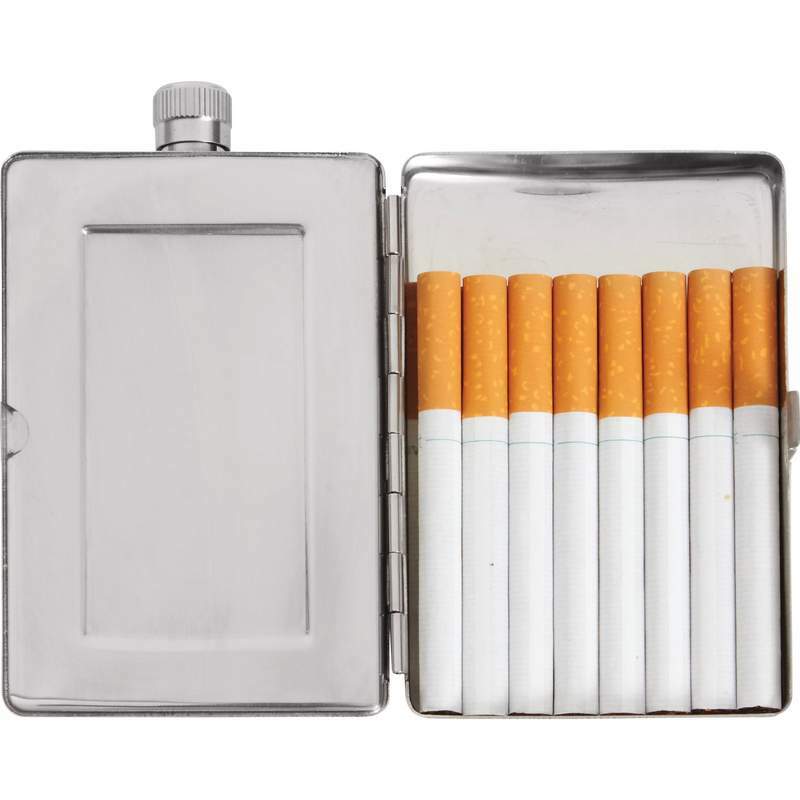 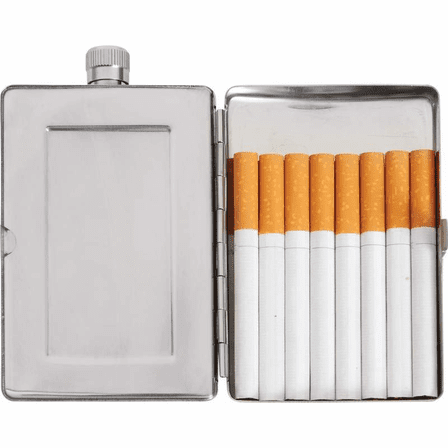 of alcohol, enough for a good nip or two, and a hidden compartment on the back side opens to reveal storage for up to 8 standard-size cigarettes! 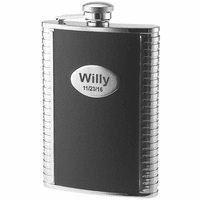 Add free custom personalization to the front of the flask, giving you a unique and elegant case you'll be proud to show when you're out with friends.